esonating absences, but also brute police forces, this video contains clips from protests, scenes from 3D modeling environments, and drone scapes. 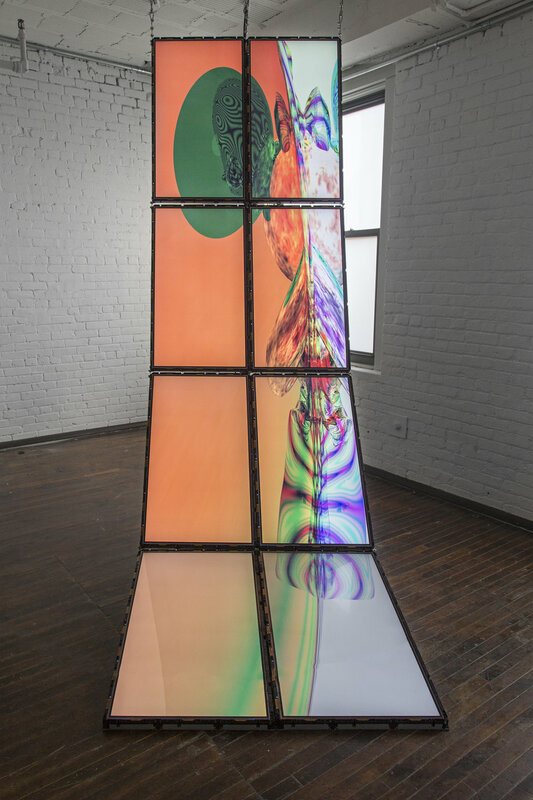 These videos are networked across multiple screens that have ben sculpturally shaped into a tall arch, asserting its physical presence like boding force. Embedded within one of the video sections is a poem the artist wrote about the ties the police have to slave catchers who then became police officers after abolition. The video also separately speaks to the artist’s own personal loss, affecting the video with an additional elegiac quality of the search for a missing friend. This personal grief is then linked to a more general lament for the continual domestic warfare within the United States, revealing a larger problem within legalities, which persists not to be rectified.